Brisbane travellers will have a new way to reach Thailand from June 25 2019 when Thai AirAsia X kicks off non-stop flights between Bangkok and the Queensland capital. 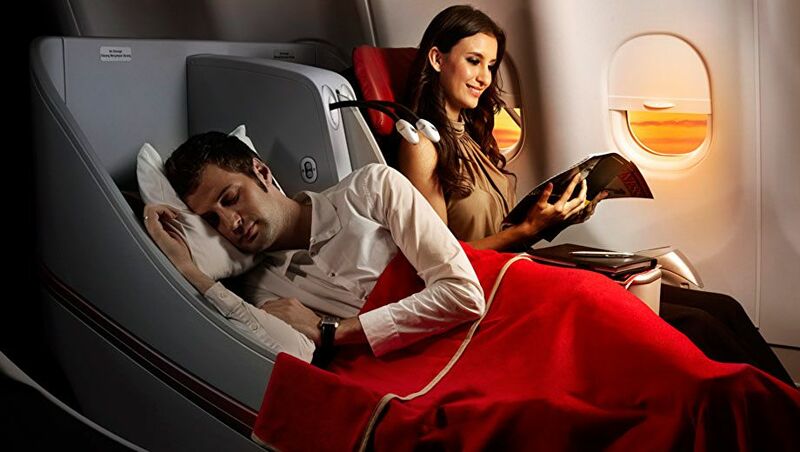 Despite AirAsia more commonly being known as a low-cost airline, Premium Flatbed passengers receive complimentary inflight meals and drinks, 40kg of checked baggage, inflight entertainment, airport perks like priority check-in, boarding and baggage delivery, and more. Running from Brisbane four times per week and bound for Bangkok's Don Mueang International Airport (DMK), flight XJ311 will be wheels-up at 12:50pm on Tuesdays, Wednesdays, Saturdays and Sundays, reaching the Thailand national capital at 7:10pm local time. From Bangkok, XJ310 will fly to Brisbane at 11:40pm on Mondays, Tuesdays, Fridays and Saturdays, touching down at 11:35am the following calendar day. Star Alliance member Thai Airways already flies between Brisbane and Bangkok's main Suvarnabhumi Airport (BKK), but in recent times has pared its own service back to four flights per week, with Brisbane Airport Corporation CEO Gert-Jan de Graaff commenting that Thailand as a destination is currently "underserved" from Brisbane. Thai Airways has also twice downgraded the business class experience for Brisbane travellers in recent years, from the earlier Boeing 777-300ER with fully-flat beds in a 1-2-1 layout to a Boeing 787-8 in late 2015 – still with fully-flat beds but losing universal aisle access – to now fly an older model of the Boeing 777 which offers a similar angled-flat, 2-2-2 business class seat as AirAsia X will fly aboard its own aircraft. The new AirAsia flights are expected to go on sale today. Thai Airways need to really introduce a consistent product or they will continue to slip down the pecking order with additional competition from many fronts. Hi Chris, can you clarify.....Air Asia out of OOL generally don’t include drinks. You’ll normally score one freebie with your (included) meal but then its MYR or credit card thereafter. That's not Thai Air Asia though I don't believe. It's a different airline. I hope Virgin Australia can see the gap and introduce BNE-BKK using A330-200 aircraft, featuring 'The Business'. Nope. BNE-BKK is too low yielding for VA and there are no codeshare partners in Thailand to make it work for VA.
BKK is better served through the SQ partnership for VA. Confirming Whale Watcher's comment. I recently flew AVV-KUL-AVV in AirAsiaX business class and received exactly one meal and one bottle of water free of charge on each sector. Even a cup of breakfast tea on the return sector was charged at MYR6.00. Everyone I have described this to thinks it's hilarious. I have to agree, considering that Business is AUD600+ over Quiet Zone Economy. 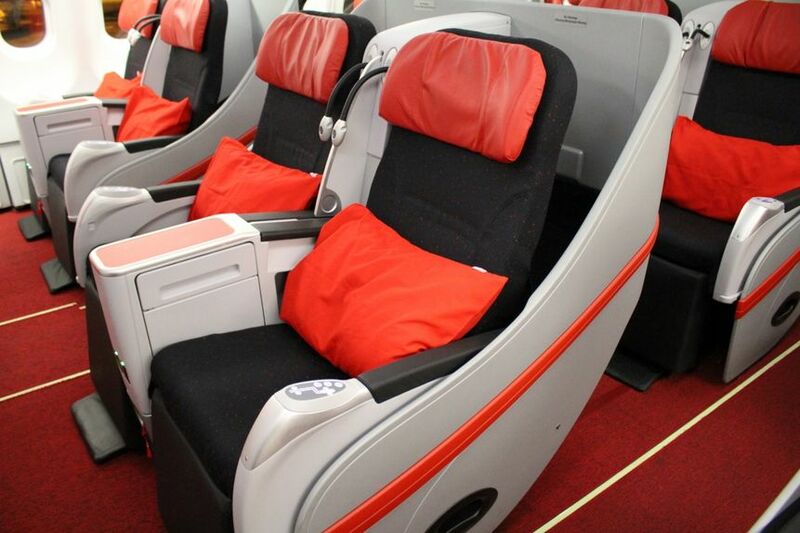 AirAsia's business class is a bit of a joke and wouldn't hold a candle to even Jetstar's business class, despite the lack of a lie-flat bed on Jetstar. You get one economy class meal replete with foil tray and plastic cutlery, and a mini-sized bottle of water, and that is literally it. No soft drinks, no alcohol, no different meals, no proper cutlery, no inflight entertainment. Not worth the money for the extra space, in my opinion. Just buy a regular economy seat on sale with AirAsia and pay for an exit aisle if it's space you're after. It's an angled lie flat bed anyway so no good for sleeping on. I have to agree, having flown both i would book JQ “business class” over Airasia. I have to say i was actually quite surprised with the level of service on a recent HKT - MEL flight on JQ J.
Thai Airways business class is poor in the 747 time for an upgrade please Thai Airways. Comment on "Thai AirAsia X to launch Brisbane-Bangkok flights"